SmartCards+ keeps track of your study performance over time and applies a custom learning curve on each card. 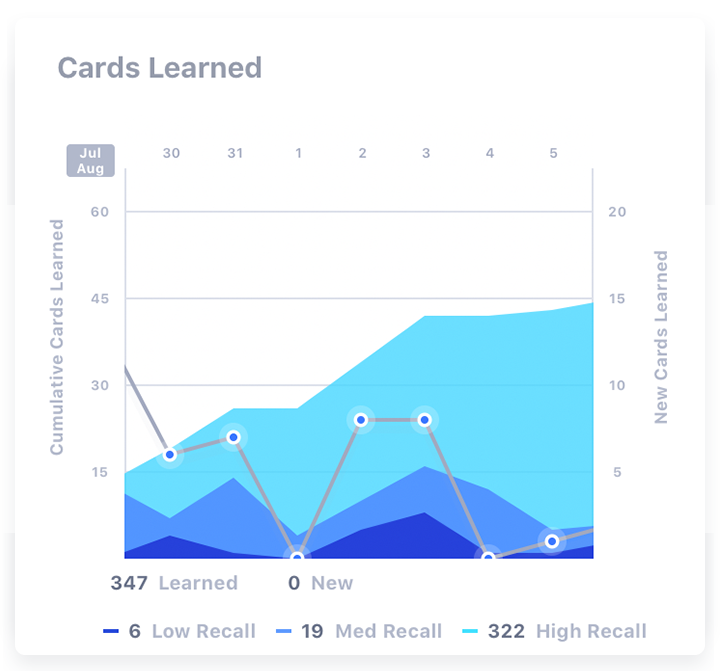 Flashcards+ keeps track of your study performance over time and applies a custom learning curve on each card. 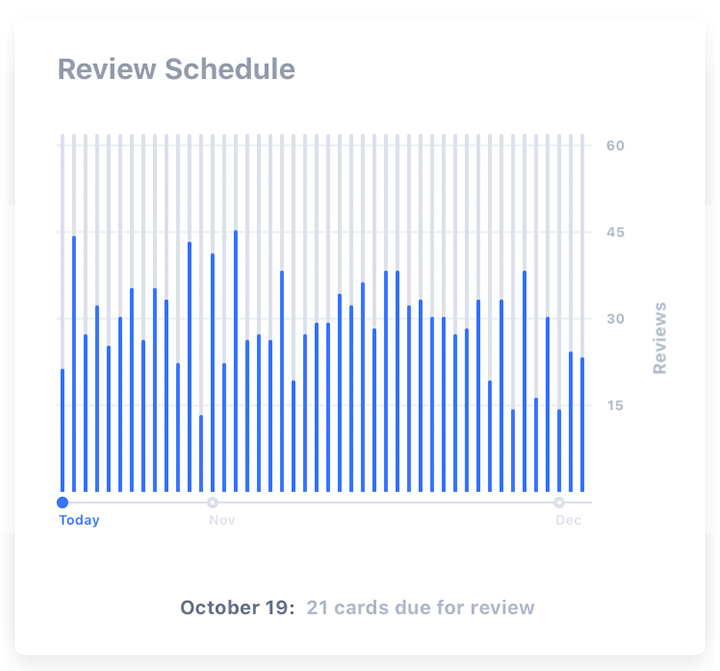 SmartCards+ prepares a suggested review everyday. Review too soon and you are wasting valuable time studying cards you know. Wait too long- and it’s already been forgotten. 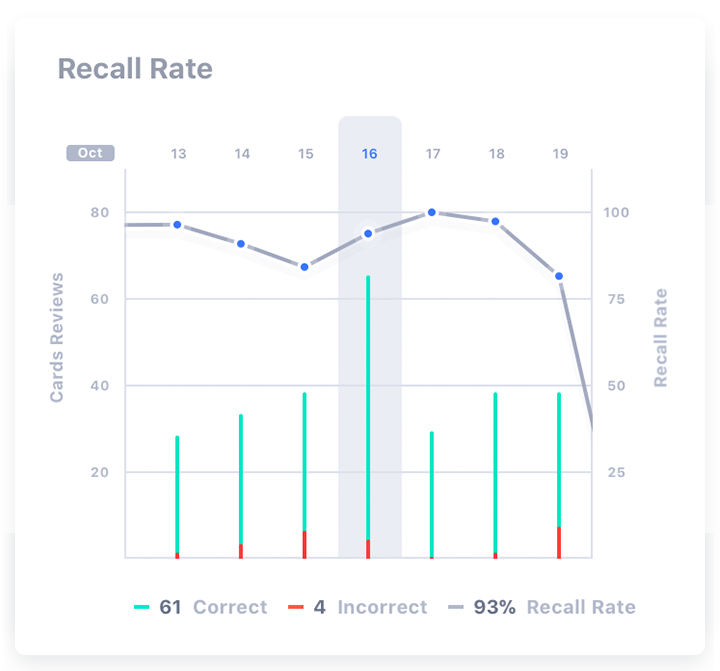 SmartCards+ uses a spaced repetition algorithm to schedule reviews at the optimal time to maximize your recall rate. It begins to know what cards you and which need work. Stay motivated and gain confidence with detailed statistics on what you have learned.